In my last blog, we looked at the hopeful signs found in Burma's by-election. We mentioned that countries in the ASEAN (the very matter of factly named Association of Southeast Asian Nations) gave strong and immediate support for the results and went on the record that sanctions meant to pressure Burma towards democracy should be lifted immediately. The ASEAN is in the news for other reasons as well, several of which have to do with a piece of geography called the South China sea. So, for some context, ASEAN was established in 1967 in Bangkok, Thailand, the original members were Indonesia, Malaysia, Philippines, Singapore and Thailand. Brunei Darussalam then joined on 7 January 1984, Viet Nam on 28 July 1995, Lao PDR and Myanmar on 23 July 1997, and Cambodia on 30 April 1999, making up what is today the ten member states. The 10 member states of ASEAN, with China to the north, Australia to the South, and India to the West. The ASEAN mission has seven points, with items 2-7 stemming from the first which reads, "To accelerate the economic growth, social progress and cultural development in the region through joint endeavours in the spirit of equality and partnership in order to strengthen the foundation for a prosperous and peaceful community of Southeast Asian Nations;"
Today, one of the more immediate challenges is rising from the increasingly assertive claims by China regarding a variety of islets and shoals that are scattered in the South China sea. China has declared an expansive claim to most of the South China sea, which several ASEAN members dispute. China's claim which ruffles the feathers of many ASEAN nations. Tonight there is news that The Philippines main naval vessel is engaged in a stand-off with Chinese surveillance ships at a disputed South China Sea shoal. According to the report, The Philippines said its warship tried to arrest Chinese fishermen anchored at the Scarborough Shoal, but was blocked by the two surveillance boats. Both countries dispute the ownership of the shoal, which lies off the Philippines' northwestern coast. The Philippine government said it would "assert sovereignty" over the area. A statement from the county's Ministry of Foreign Affairs said the naval vessel, the Gregorio Del Pilar, found eight Chinese fishing vessels at the shoal when it was patrolling the area on Sunday. Two Chinese surveillance ships then apparently arrived in the area on Tuesday, placing themselves between the warship and the fishing vessels." The Philippine's flagship naval vessel, the Gregorio Del Pilar. The confrontation is a the latest in a long series of incidents involving China's fishing fleets and subsequent support from its naval forces. 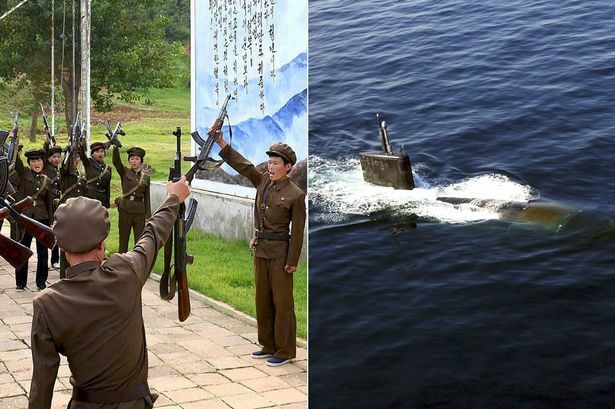 Japan to the north has had several similar incidents in the past two years. The wariness over Chinese claims amid its neighbors is behind the US Obama administration's recent announcement in December last year that it is bolstering its alliance with Australia by establishing a permanent military base in the northern Australia port city of Darwin. The northern port city of Darwin will be the most noticeable site of shifting power in the region, fueled in large part by the tensions in the South China sea. As the Washington Post stated, then, "Starting next summer, the U.S. will send 250 Marines to bases here for six-month tours, eventually rotating 2,500 troops through the country. 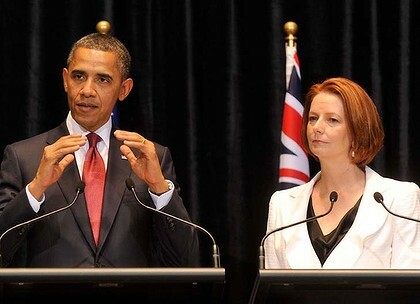 President Obama announced the partnership at a news conference with Australian Prime Minister Julia Gillard, describing it as a key step in his administration’s evolving emphasis on the Asia Pacific region ... part of a high-profile foreign policy shift toward Asia that is intended as a counterbalance to China’s growing power. ... The United States has grown alarmed by China’s increasingly confrontational stance in the South China Sea, a critical commercial shipping channel that is thought to contain valuable oil and minerals." So there we have it. President Obama made it clear this move was not meant to fuel tensions, and emphasized there were many win-win scenarios for all of Asia and its resources. Indonesia, one of the ASEAN nations with little direct exposure to the South China sea expressed its concerns over the US move, that militarization of the region would not be helpful. And of course, the US and VietNam and China (and Laos and Cambodia)were involved in one of the of major and deadly conflicts that reverberates still - the Vietnam War beginning in the early 1960s and lasting for another 12-13 years. But the resources of the South China sea - gas, oil, minerals - are in play, and the sea is one worth being aware of.